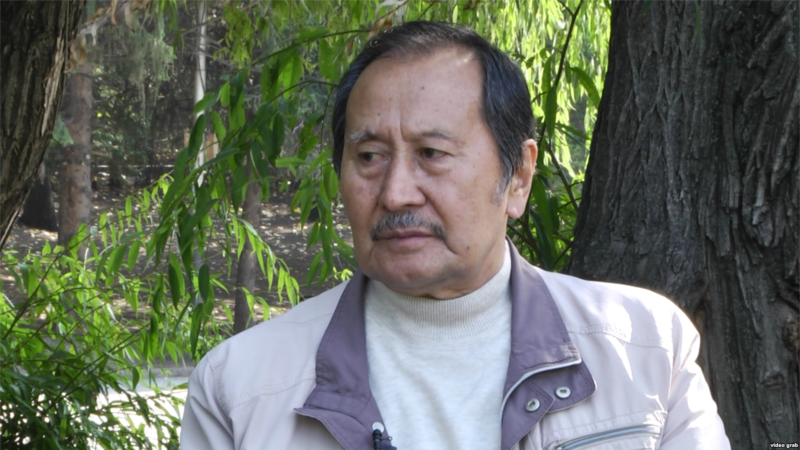 Kakharman Kozhamberdi, a main advisor of the World Uyghur Congress. The Kazakhstan Uyghur Association has not been active in searching out relatives arrested in Xinjiang, nor has it made many statements regarding the issue. Azattyq talked to a main advisor of the World Uyghur Congress, Kakharman Kozhamberdi, about the reasons behind this state of affairs. Azattyq: It’s been over a year now that both activists and Chinese Kazakhs have been talking of the “oppression of ethnic minorities” in Xinjiang. However, there does not appear to be any activity among the ethnic Uyghurs in Kazakhstan with regard to this issue. Why is that? Kakharman Kozhamberdi: The reason is the pressure that comes from the law enforcement authorities. As an example, I was taken to administrative court three times [editor’s note: the first time for creating the People’s Party of Uyghurstan, and the second time for carrying out an unauthorized demonstration]. The officials told me to “shut my mouth and not raise the issue”. “We’re on friendly terms with China,” they told me. The Uyghurs of Kazakhstan have been pressured into inactivity. The central government does not take an open stance on the matter – instead, the pressure is mostly applied by different governmental bodies [editor’s note: Azattyq asked the National Security Committee and the Ministry of Internal Affairs for comment, but has not received a reply]. For example, it is forbidden to hold meetings regarding problems faced by ethnic Uyghurs. Over the past 10 years, our newspaper here hasn’t published a single one of my articles. I’ve been told that “there’s been an order from up top not to publish”. Kazakhstan cannot stand on par with China. I understand Astana’s politics very well. We have no desire to do harm to those politics – however, regardless of where I may be, I always insist that “Kazakhstan is a sovereign and independent state that should have a clear position on human rights issues”. We should always openly state that we are against human rights violations. Azattyq: There is an Uyghur member of parliament elected from the Assembly of People of Kazakhstan. There are also the heads of different Uyghur associations. Have any of them issued a letter to the Chinese embassy or made any statements? Kakharman Kozhamberdi: There is the parliament member Shaimardan Nurumov. He says that “while they don’t speak about it in front of the people, they do know about it and talk about it in the committees”. I can understand him. It’s the same with the parliament. On the whole, the Turkic-speaking nations of Central Asia say that “there is no Uyghur problem”. All of them. In Russia, which has grown closer to China, the situation is the same. There used to be freedom in Kyrgyzstan during the period when they kept swapping governments, but it’s not like that anymore. 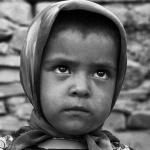 Azattyq: Are you still in contact with the Uyghurs in Xinjiang? Kakharman Kozhamberdi: There is no contact. I used to talk to people from China five or ten years ago, used to send people over there to get information, used to write books. Now it’s already been two years that there’s been no contact at all. As soon as anyone there makes a phone call abroad, they end up in prison. So there’s no contact. The World Uyghur Congress does get information from those who have managed to flee to Taiwan, Malaysia, Indonesia, and Myanmar. There’s also information coming in from inner China. But we don’t have a direct connection [to Xinjiang]. We don’t have a clear picture of what’s happening there. Azattyq: How many ethnic Uyghur families living in Kazakhstan have lost contact with their relatives in China? Kakharman Kozhamberdi: There’s no data for that. They [relatives of the detained] are afraid to talk about that openly. I’ve invited them over on several occasions, saying that the information they can provide is needed abroad. Silence. In addition, the locals here have lost all contact with their relatives in China. They don’t call their phones, and even if they do, the other side is afraid to pick up. Because they can be jailed for conversing. They’re arresting everyone who’s studied or been abroad. The intellectuals are accused of being “two-faced”. “You praise China, but that’s not what you really think,” the government tells them. For example, all those who used to work in the Uyghur administration of Xinjiang University are in prison now. There’s a famous newspaper in the region, Xinjiang. The Kazakh and Uyghur editorial offices are both in the same building. Everyone there has been taken to “re-education camps”, starting with the chief editors and department heads. In reality, these are jails, or even worse. Azattyq: There’s also been news of Uyghur children being forced to learn the Chinese language and culture. Is that really the case? Kakharman Kozhamberdi: Yes, that’s true. There are families where both the father and mother have been taken, without trial, to “re-education camps”. The children in these families are left without anyone to look after them. There are orphanages in all of China’s major cities that these children are taken to. All of the educators there are Chinese. So the children speak Chinese, study in Chinese. These centers are fenced off and guarded. Azattyq: Are these children later released? Kakharman Kozhamberdi: Nobody knows. When relatives come and say that they want to take them out of there, no one is allowed to go – and that’s that. No one is allowed inside either. The adults who are in the “camps” themselves don’t know if they’ll ever be released, or if there will ever be a court verdict. As far as I know, there are two kinds of jails. It is possible to be released from the first kind, while the inmates of the other are sent elsewhere following their trial. It’s impossible for them to get out from there. The goal is to “brainwash” – they want to strip us of our ethnic identity, our religion, our language. They want to Sinicize everything. They want to create people who comply with the Party’s model. The people are detained until they reach that state. It’s cultural genocide. Azattyq: What is the state of the people who come out of the camps? Kakharman Kozhamberdi: We’ve heard news that they “change fundamentally”. They consider everything to be “correct”, and walk around with their heads down. As if something inside them has been ripped out. There’s attempts to psychologically influence the people. Every morning in China starts with the national anthem and a flag-raising ceremony now. If you think about it, nowhere in the world is there anything of the sort. They didn’t even have that during Mao Zedong. All prayer venues must be approved by the local Party committees. Azattyq: What do you know about the current state of Uyghur autonomy? Kakharman Kozhamberdi: There are many abroad who don’t understand the situation, thinking that we have “our own autonomy”. The autonomy is on paper only – in reality, it’s China’s Party system that calls all the shots. They [the local officials] do everything the Party committee tells them to. The autonomous regions have their own governments, but the chair of the region is a Party committee member and cannot stray from the position of the first Party secretary and his deputies. He’s not an independent figure, and he doesn’t get to decide anything. There is a law about autonomous territory, but it doesn’t function. Another particularity is that autonomous regions have special army forces. They own the best lands and hold the foothills. They have the right to carry out searches in villages and to arrest the residents. They have their own jail. On top of that, there is also the People’s Liberation Army, whom the Uyghurs and Kazakhs in the autonomous region call “warders”. Sixty percent of those serving in this army are Han Chinese, with the rest made up of locals. And some of the local “warders” are considered more severe than the ethnic Chinese. Azattyq: Thank you for the interview. Previous PostHow is Abdukerim Rahman surviving without his books?